Well, I guess life's been a little busy. I was shocked to see I haven't posted since July 5th. Yes, July 5th!?!? I can't believe my mom hasn't called to complain about this. Today I'm joining September's Chalkabration hosted by Betsy at Teaching Young Writers. This weekend I had the privilege of spending time with Betsy Hubbard. 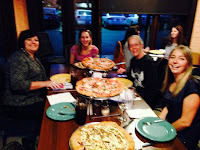 When I met Betsy for the first time at #nerdcampbc, I felt like I already knew her. 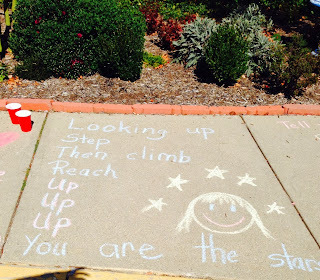 For some time I had been following her blogs I Think in Poems and Teaching Young Writers. I knew her from Slice of Life, Poetry Friday, Chalkabration and Twitter too. This weekend she made the long drive to join us at the Literacy Connection with Ruth Ayres. 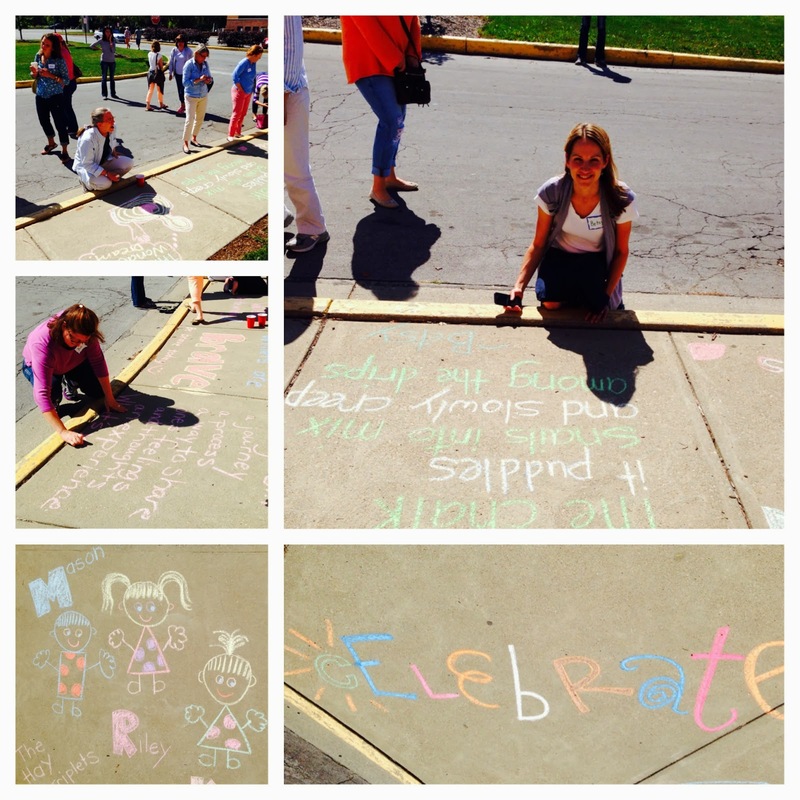 On Saturday as Ruth shared her thinking about Celebrations in Writing, the group decided to join Betsy's end of month fun and had a chalk celebration during our lunch break. 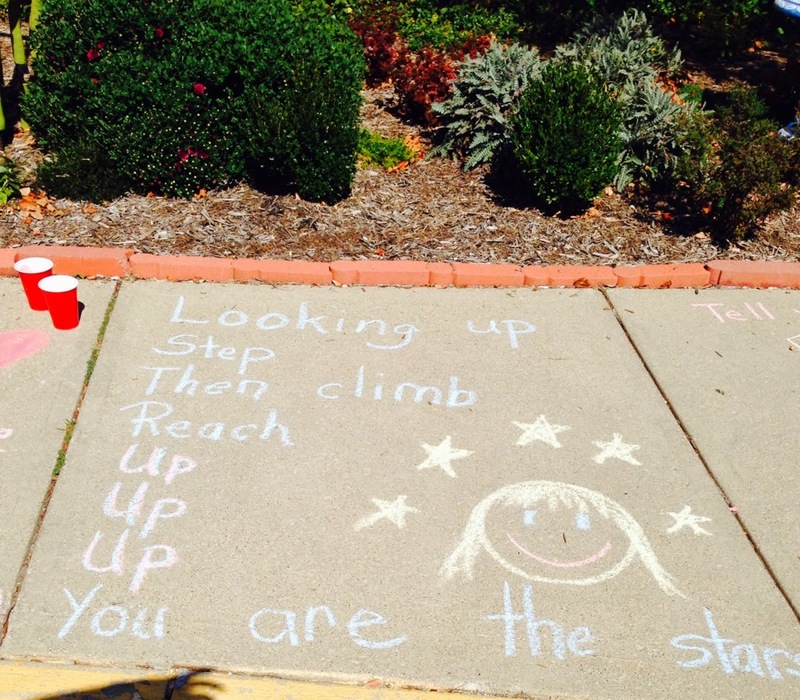 Participants went out into the front of the school to leave chalk poems and messages for students as they arrive on Monday. This was the perfect complement to Ruth's message of joyous celebrations and a great ending to fabulously fun weekend of learning and conversation.